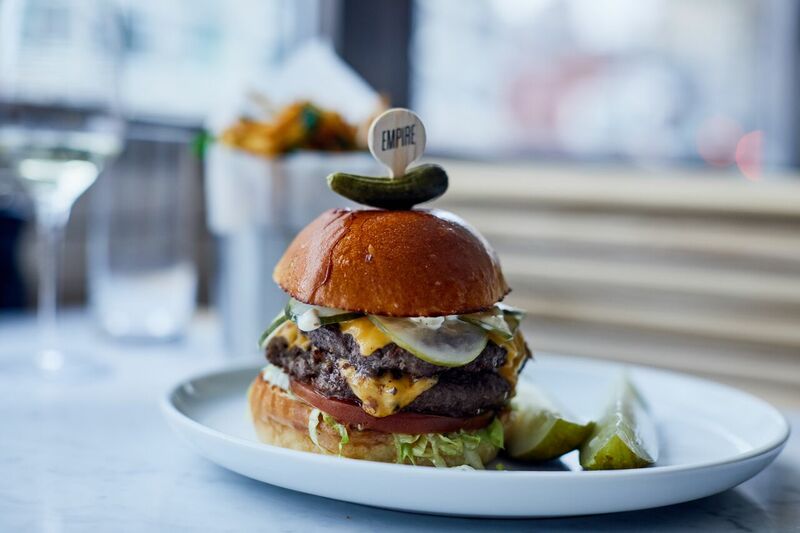 CHELSEA — The Empire Diner reopened under new management Monday with a relaunched menu from the team behind a popular Seventh Avenue restaurant. Chef John DeLucie and the owners of Cafeteria had planned to reopen the longtime diner on 10th Avenue in November, but pushed the date back after encountering “construction snafus,” DeLucie told DNAinfo New York in January. 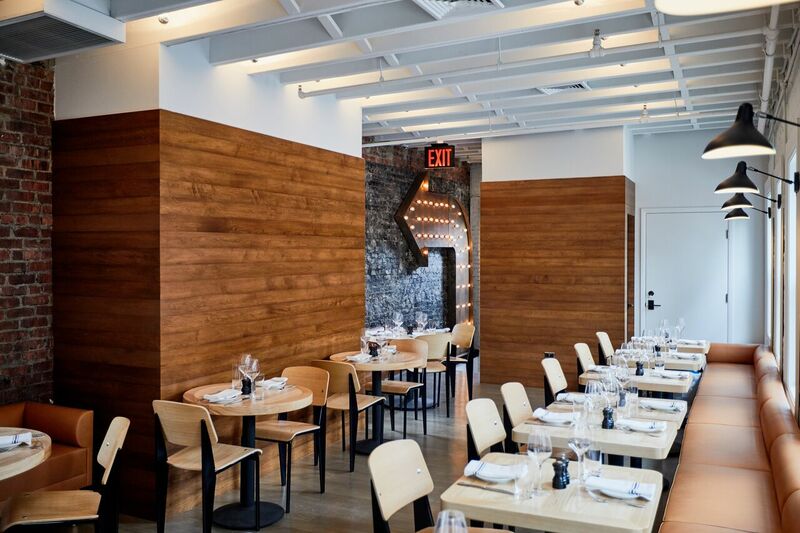 The latest iteration of the eatery “celebrates the ever-changing neighborhood of Chelsea, while respecting its roots to the art community since the late 1970s,” its new management said in a release. "Since opening in 1976, Empire Diner has been a neighborhood and industry staple as the area has become home to a number of art galleries, hotels and residences,” the release continued. “Under the partnership of Chef DeLucie and the Cafeteria team, the restaurant will quickly become a culinary destination once again for New York City locals and travelers alike." 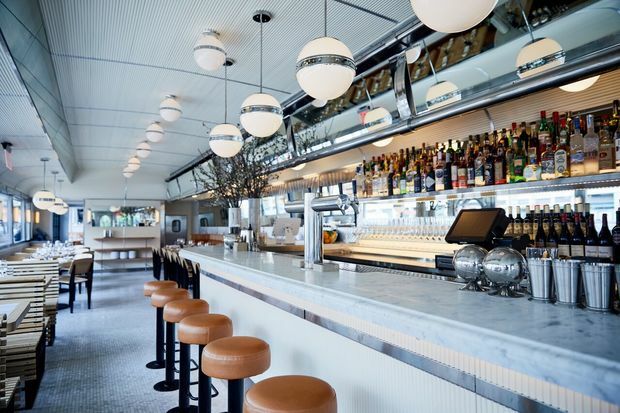 The diner’s new menu offers “Classic American” food like a braised beef short ribs with horseradish gremolata; a burger with American cheese and herbed french fries; and sourdough pretzel fried chicken with chili mustard sauce. The “small plates” menu includes celery root soup with brown butter and crab, as well as an Arctic char crudo with pomelo, chili and mint. The “sides” menu includes crispy artichokes with house aioli, and sweet pea and onion toast with goat cheese and roasted garlic. Desserts include a three-layer coconut cake with coconut buttercream and pineapple ribbons; an “Empire S’mores Torte” with toasted marshmallow, homemade graham crackers, vanilla ice cream and semi-sweet chocolate mousse; and drinks like “The High Line,” a take on a Bee’s Knees cocktail with gin, sage honey, lemon and bee pollen. The restaurant, which has two floors of seating, is currently open from 5 p.m. to 1 a.m. Monday through Sunday. It will start serving brunch and lunch — and open its outdoor seating area — at some point in May.